Save the planet from the comfort of your PlayStation 4 - Family Friendly Sci-Fi Platformer SHINY boxed edition releases 27 February 2018. 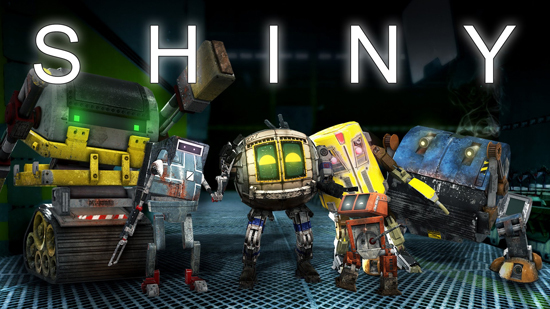 Shiny is non-violent family friendly sci-fi platformer made by Garage 227. Players play as robot Kramer 227, who has to find a way to harvest energy and rescue its robotic friends before the doomed planet of Aurora crashes into its sun. On their journey, players need to overcome obstacles and manage their energy levels to power themselves and their friends on their way to safety.